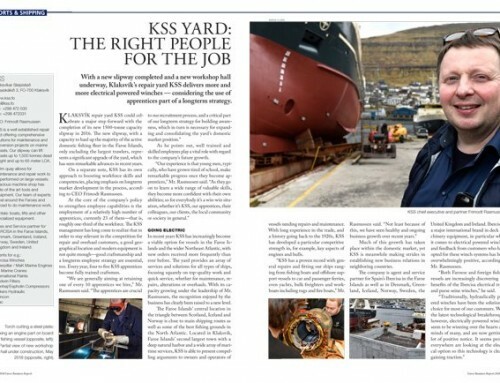 By covering its dry dock at Skála, shipyard and engineering firm MEST looks to enhance its services by offering to carry out maintenance and repair work at any time of year — in the Faroe Islands — virtually regardless of weather. Wind and rain are never far away in the Faroes and working around the weather is a constant challenge for outdoor work, making shot blasting and painting a ship a precarious business. In a bid to refine its offerings to fishing vessels and offshore support vessels, the MEST ship repair company is planning to cover the yard’s dry dock at Skála. 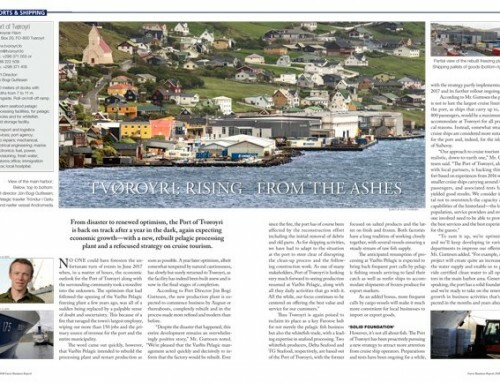 With the sons of legendary Faroese fisherman Eiler Jacobsen as new majority owners, an old idea of covering the dry dock lately took a fresh turn as they came up with a slightly different concept for it. The reality of a covered dry dock will open up a host of possibilities for repairs and maintenance of fishing vessels and merchant vessels including offshore support vessels. 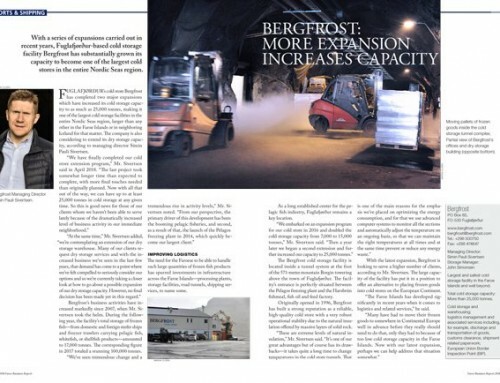 “Being able to do maintenance and repairs in a controlled environment sheltered from wind and rain is going to make a huge difference,” Mr. Mohr noted. 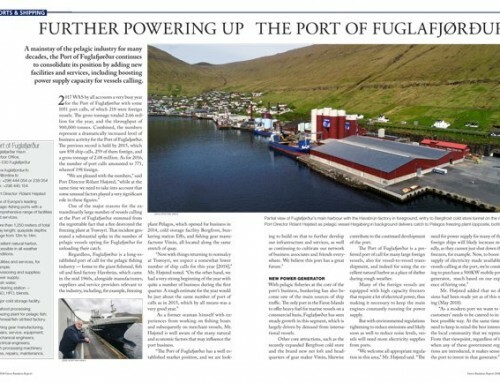 Apart from reducing the need for the Faroese to take their vessels to the UK, Norway or Denmark for several types of repairs and maintenance including, for example, shot blasting and painting, the covered dry dock will be likely to attract foreign vessels. In fact, the dry dock is already a frequent port of call for international vessels; with the upgrade, its usefulness will be further increased. The only dock of its kind in the Faroe Islands, vessels can be steered into it and then dried out for work to be done on sections below the waterline. Once under a roof, the option of taking vessels in without emptying the basin will likely become attractive during winter, making more speedy repairs and maintenance possible. “We expect the work on the dry dock roof to start this spring  and look forward to a greatly improved working environment,” Mr. Mohr said. With its base in Tórshavn, and activities spread across five locations, MEST is a major employer in the Faroe Islands. The Tórshavn yard has twin slipways and two hundred meters of quayside space as well as two construction halls, while the Skála yard has a slipway and the dry dock, plus four hundred meters of quayside and a construction hall. A sector of MEST’s business that receives little attention is its towage services in the Faroe Islands, assisting the largest passenger and merchant vessels as they dock and depart from ports. 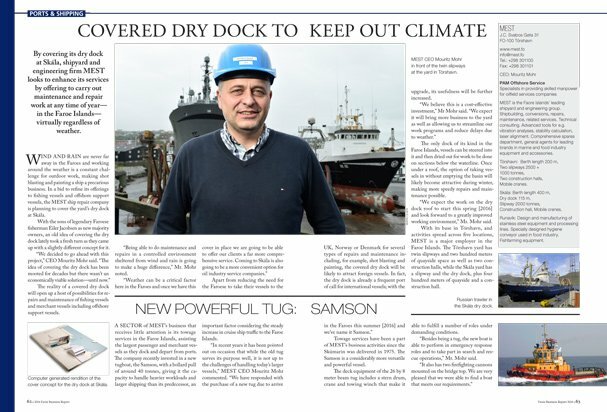 The company recently invested in a new tugboat, the Samson, with a bollard pull of around 40 tonnes, giving it the capacity to handle heavier workloads and larger shipping than its predecessor, an important factor considering the steady increase in cruise ship traffic to the Faroe Islands. 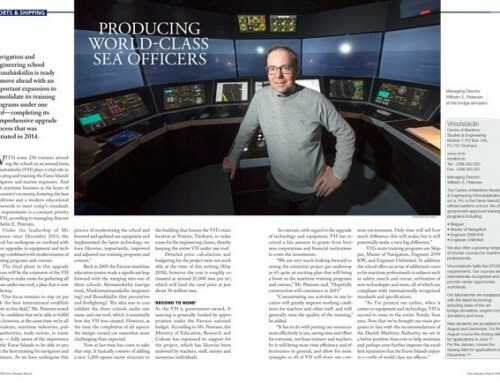 Towage services have been a part of MEST’s business activities since the Skúmarin was delivered in 1975. The Samson is a considerably more versatile and powerful vessel. The deck equipment of the 26 by 8 meter beam tug includes a stern drum, crane and towing winch that make it able to fulfill a number of roles under demanding conditions. “Besides being a tug, the new boat is able to perform in emergency response roles and to take part in search and rescue operations,” Mr. Mohr said.